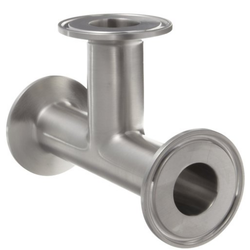 Pioneers in the industry, we offer stainless steel 202 pipe fittings, stainless steel 304 pipe fittings, stainless steel 316 pipe fittings, monel fittings, stainless steel threaded flange and duplex steel tube fittings from India. From the years of commencement, we are engaged in offering a huge assortment of quality approved Stainless Steel Tube Fittings to our clients. 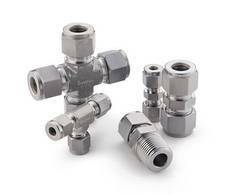 This range of Stainless Steel Tube Fittings is known for its excellent performance. In series of delivering world-class products, we offer an exceptional array of Stainless Steel Tube Fittings in the industry. These products are widely appreciated in the market for their dimensional accuracy and reliability. 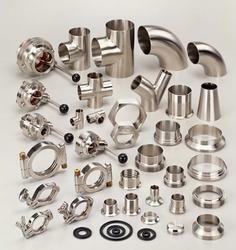 Amidst our wide range of products, we are also engaged in offering a wide range of Stainless Steel Tube Fittings. High durability and superior designing make our products highly popular and demanded in market. This Stainless Steel Tube Fittings is manufactured by the team of experience members using latest equipments at precisely designed manufacturing unit. Our offered range of products is flawlessly finished during the whole manufacturing process. 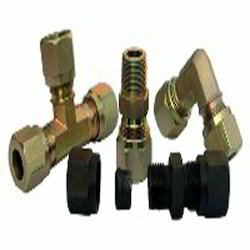 In series of delivering world-class products, we offer an exceptional array of Monel Fittings in the industry. These products are widely appreciated in the market for their dimensional accuracy and reliability. Our team of highly skilled professionals utilizes the inputs from modernized machines and advanced tools to render highly reliable range of Monel Fittings. Moreover, our valued customers can avail all our products range at reasonable rates. We are considered as one of the pioneers engaged in offering a huge gamut of Stainless Steel Threaded Flange. In series of delivering world-class products, we offer an exceptional array of Duplex Steel Pipe Tube Fittings in the industry. These products are widely appreciated in the market for their dimensional accuracy and reliability. Our team of highly skilled professionals utilizes the inputs from modernized machines and advanced tools to render highly reliable range of Duplex Steel Pipe Tube Fittings. Moreover, our valued customers can avail all our products range at reasonable rates. In series of delivering world-class products, we offer an exceptional array of Stainless Steel Tube Fittings in the industry. These products are widely appreciated in the market for their dimensional accuracy and reliability. Our team of highly skilled professionals utilizes the inputs from modernized machines and advanced tools to render the highly reliable range of Stainless Steel Tube Fittings. Moreover, our valued customers can avail all our products range at reasonable rates. 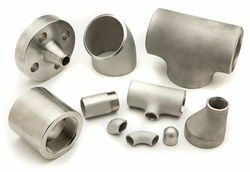 In series of delivering world-class products, we offer an exceptional array of Hastelloy Pipe Fittings in the industry. These products are widely appreciated in the market for their dimensional accuracy and reliability. Our team of highly skilled professionals utilizes the inputs from modernized machines and advanced tools to render highly reliable range of Hastelloy Pipe Tube Fittings. Moreover, our valued customers can avail all our products range at reasonable rates. 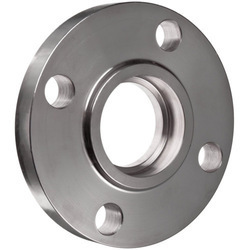 We are leading supplier of Stainless Steel Forged PN Flange. It is also known as PN Flanges. 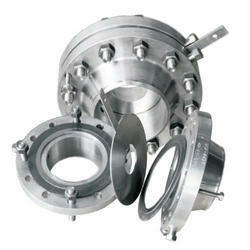 We are leading supplier of Orifice Flange Assembly. 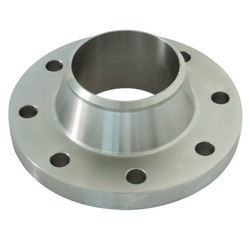 We are leading supplier of Forged Steel Socket Weld Flange. 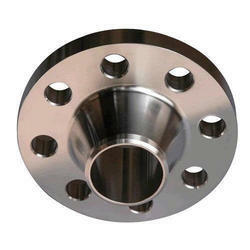 We are leading supplier of Automotive Reducing Round Flange. Applications : 2 - Stroke/ : 50 cc - 80 cc, Mopeds, Scooters, Step - thru. Available Grades 304, 316L, 304H, 316TI, 304L, 321, 316, 310, 202JT. Our ranges of Stainless Steel Welded RTJ flange are highly appreciated among our clients due to its trouble free performance. It is also known as Ring Joint Flanges, Stainless Steel Welded Flange, Stainless Steel Reducing Flange. Our ranges of Titanium Puddle Flanges are highly appreciated among our clients due to its trouble free performance. It is also known as Puddle Flanges, Titanium Flange & Steel Flanges. We are leading supplier of SS Long Weld Neck Slip on Flange. We are leading supplier of Duplex Steel Forged Flanges. 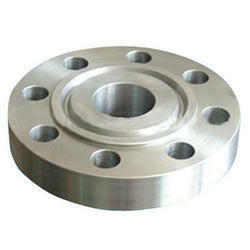 We are leading supplier of ASME Stainless Steel WNRTJ Flange. 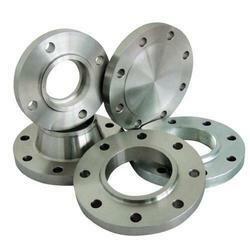 We are leading supplier of Weld Neck Flanges. We are leading supplier of PVC Coated Douple Taper Nickel Flange. 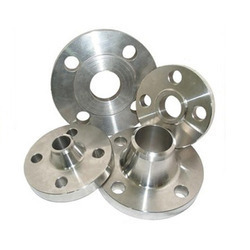 We are leading supplier of Alloy 20 Lap Joint DIN Flange. We are leading supplier of High Nickel Alloy Flanges. We are leading supplier of Stainless Steel 304 Blind Flange. 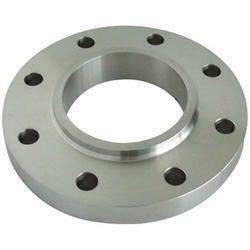 We are leading supplier of Stainless Steel Spectacle Flange and Nut. It is also known as Screwed Flanges, Stainless Steel Flange Nut, Stainless Steel Spectacle Flange. We are leading supplier of Blind Raise Face ANSI Flange.